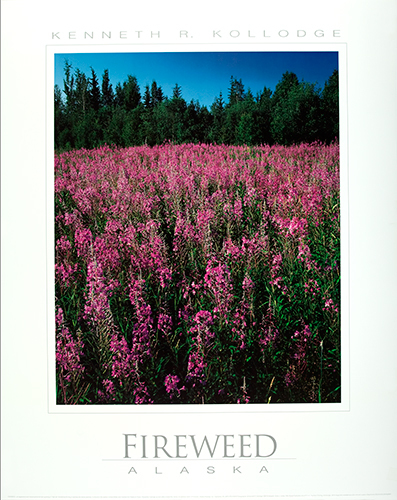 This photo of Fireweed was made with a 4×5 inch view camera just off the Parks Highway in Fairbanks, Alaska. Fireweed is usually one of the first noticeable plants to sprout up after a forest fire, thus the name. Just shortly after this image was made, a power line was put through, heavy machinery like caterpillar tractors were headquartered on this spot and ripped it all up. It was neat while it lasted.